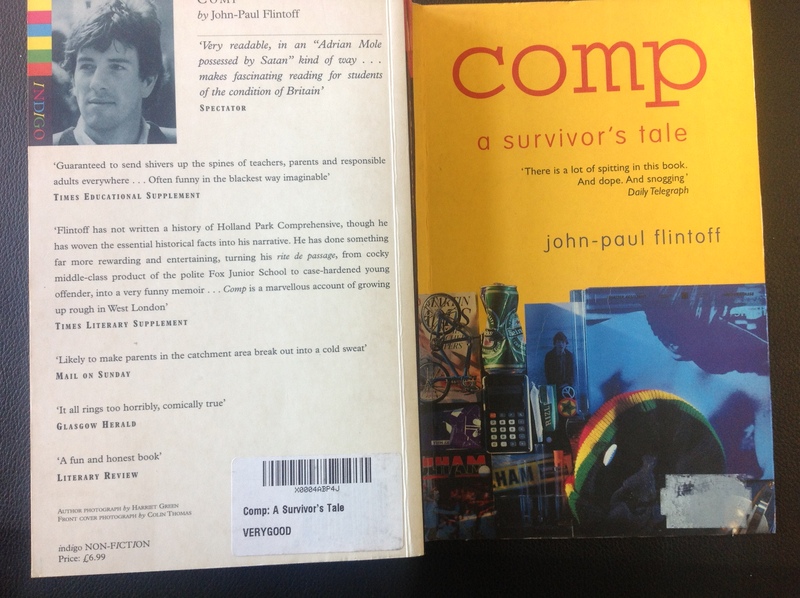 Comp: A Survivor’s Tale – a slice of life at Holland Park in the 90s. He got a bit of flack for it – it’s not exactly a documentary. 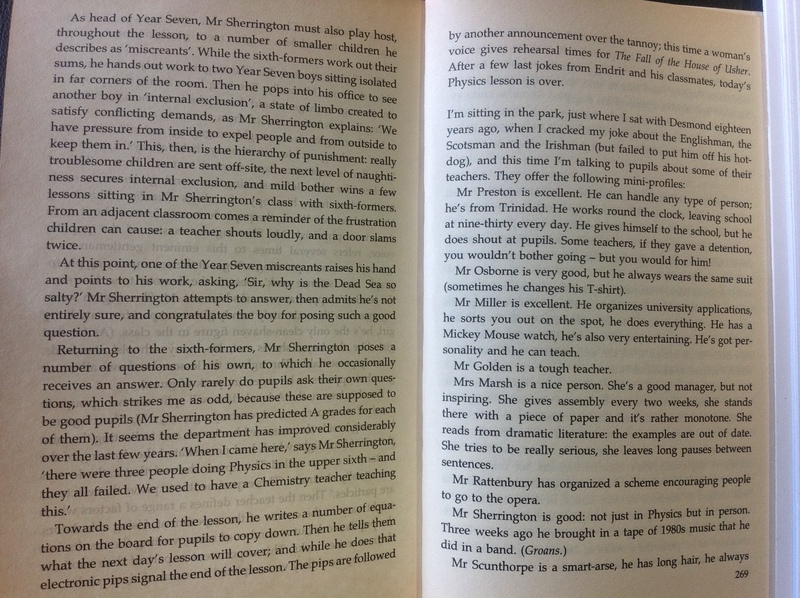 It’s based around his own recollections of life at the school in the 1980s but it makes it sound like a zoo – which it wasn’t. Crazy things happened – but it wasn’t the wall-to-wall chaos described here. Comp is still fun to read – especially if you worked there. Before publishing, he visited the school in ’97 to talk to teachers at the time. One of them was me. 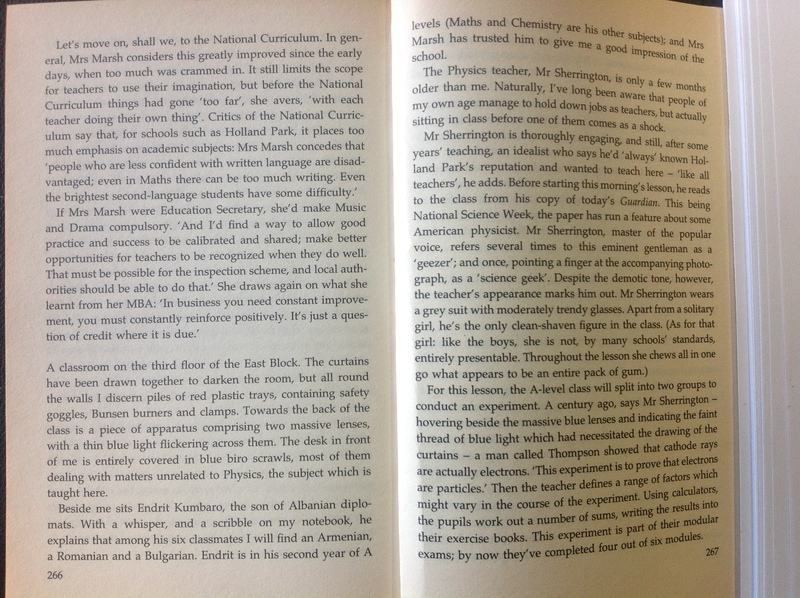 On these two pages (from 2/3 down on the left) he describes my physics A level lesson where, as Head of Year 7, I also had some students parked around the classroom on internal exclusion. Those were the days. Funny to read it now. ‘Moderately trendy glasses’; that always cracks me up. The cheek of it! But I’m pleased that I was reported to be teaching some proper physics. As for the ‘miscreants’.. well, that system was never going to work.